District Attorney Billy Joe Harrington announced the guilty verdict in the jury trial of Ervin Leanard Walker of illegal use of a weapon during a crime of violence. Walker, 53, of Natchitoches was convicted for a 2017 shooting incident in a parking lot of a business on Keyser Avenue. Tenth Judicial District Court Judge Lala Sylvester presided over the trial. Sentencing is scheduled for Nov. 14. The original report of the incident follows. On Monday, Feb. 27, 2017, at approximately 8:45 p.m.. the victim of a gunshot wound arrived at Natchitoches Regional Medical Center by personal vehicle. An off duty Natchitoches police officer working security at the hospital made contact with this victim to obtain as many facts as possible to enable the police to respond accordingly. Leo Johnson communicated with the officer that as he and his wife were leaving Bingo Paradise on Keyser Avenue, he got into a dispute with three subjects at the carwash. Johnson said that as he and his wife were driving away, one of the men shot at him through the back window of his vehicle. Johnson was struck on the right side of his face but his wife escaped injury during the volley of gunfire. Natchitoches Police officers and detectives arrived and began gathering information and evidence in effort to bring the shooter, or shooters, to justice. 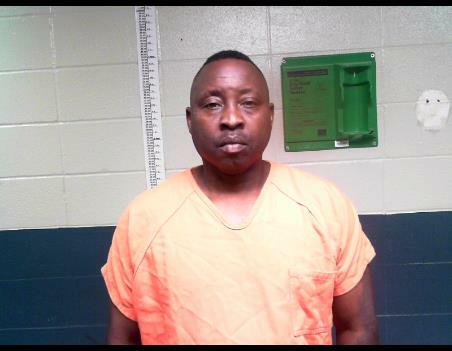 Ultimately, Ervin Walker, 51, was arrested and charged with two counts Attempted First Degree Murder and was placed in the Natchitoches Parish Detention Center.